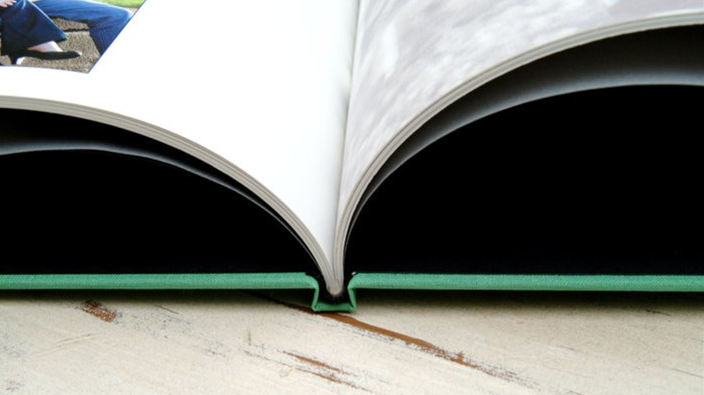 Hard cover books are made with magazine style press papers and perfect bound at the spine. 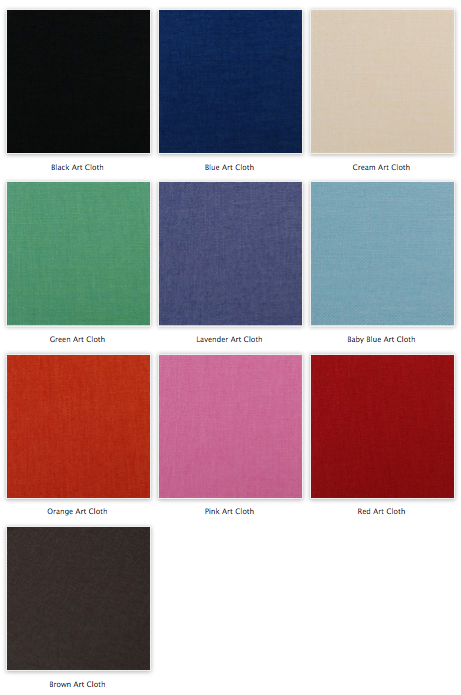 Select from a variety of art cloth cover options. 8x10 inch books [10 pages, 20 sides] start at $75. Mini in size, perfect for on-the-go. Each panel is 2.5"x3.5". 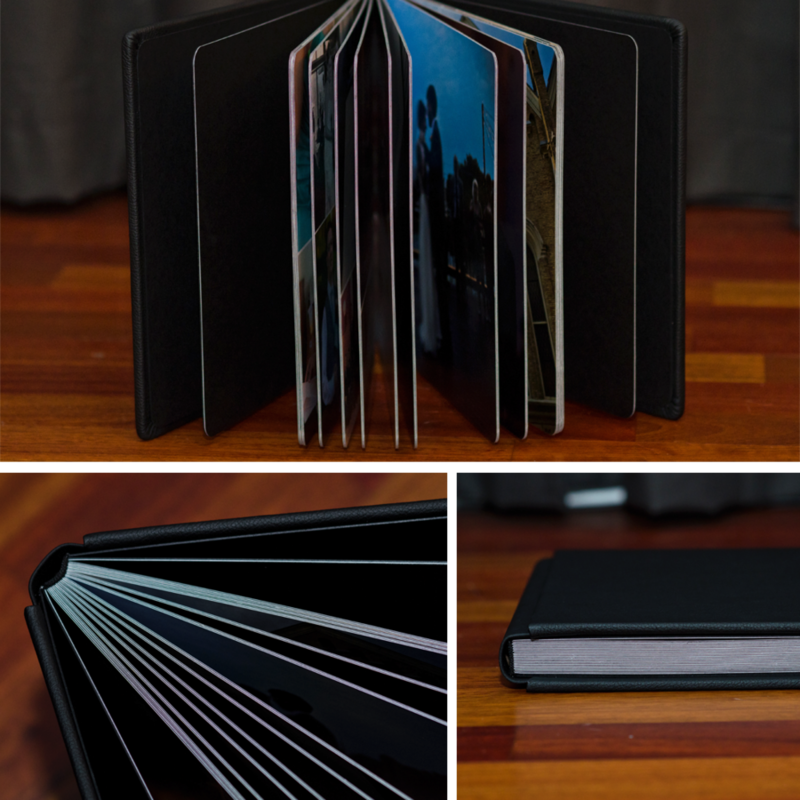 The custom cover and back accordion mini features 10 images and a magnetic closure. Fits amazingly in the purse of favorite grandma, mom, or aunt, as well as the desk of dad. Order multiple of the same mini or create several with different images. Minis start at $25 for cloth covers [see above for cloth color options]. Custom covers, add $3. I design these true flush mount albums by hand to ensure each image looks as beautiful and stunning as possible. 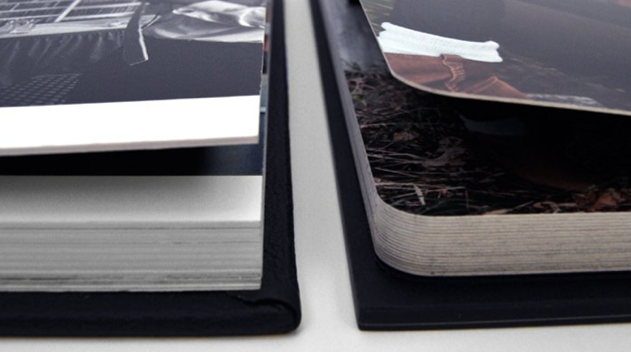 The images extend across the entire page with a thick substrate in between, making it a beautifully premium album. Album creation starts at $200 for 10 pages [20 sides] and includes design and production time. 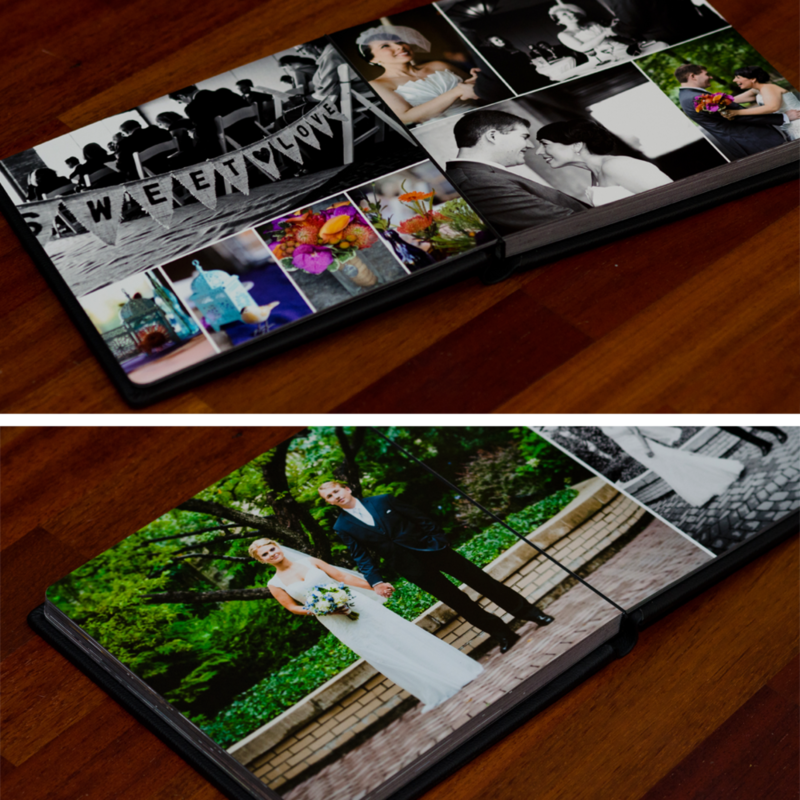 Album shown below is in standard pebble leather black.